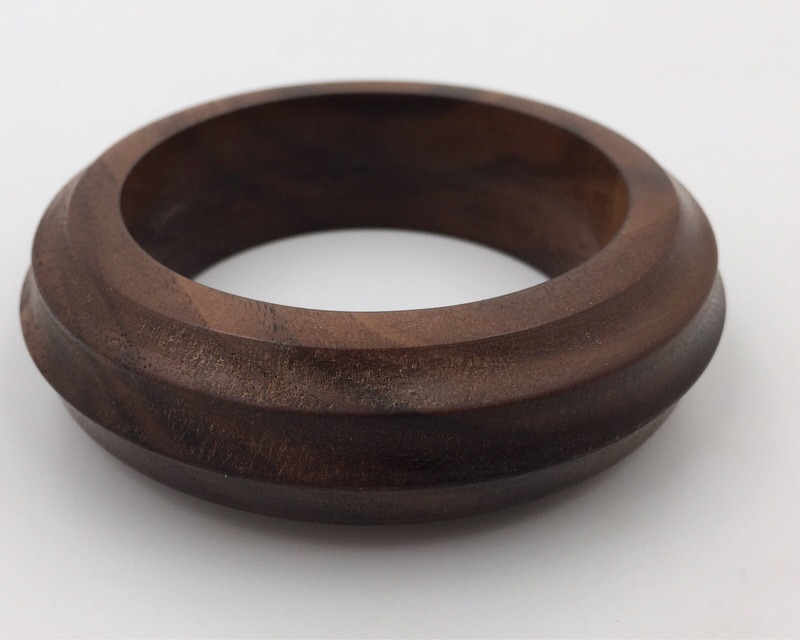 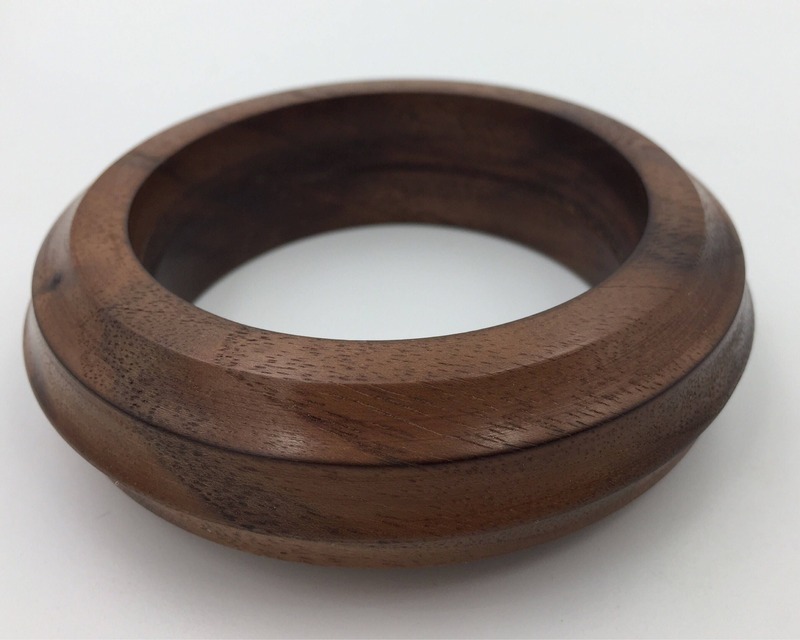 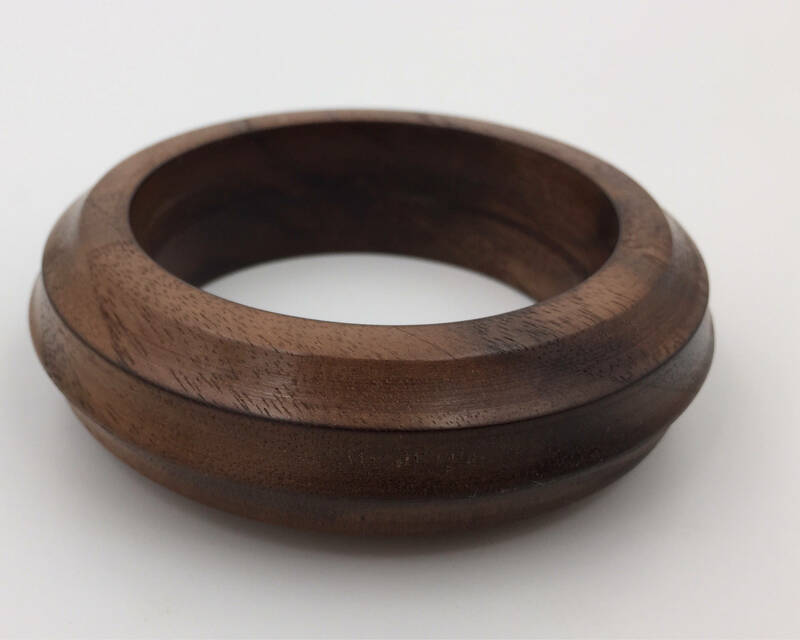 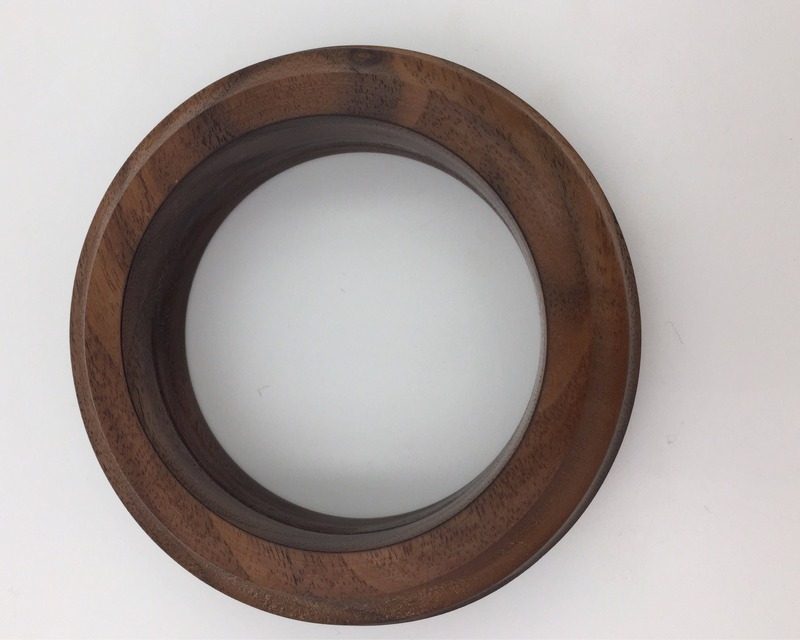 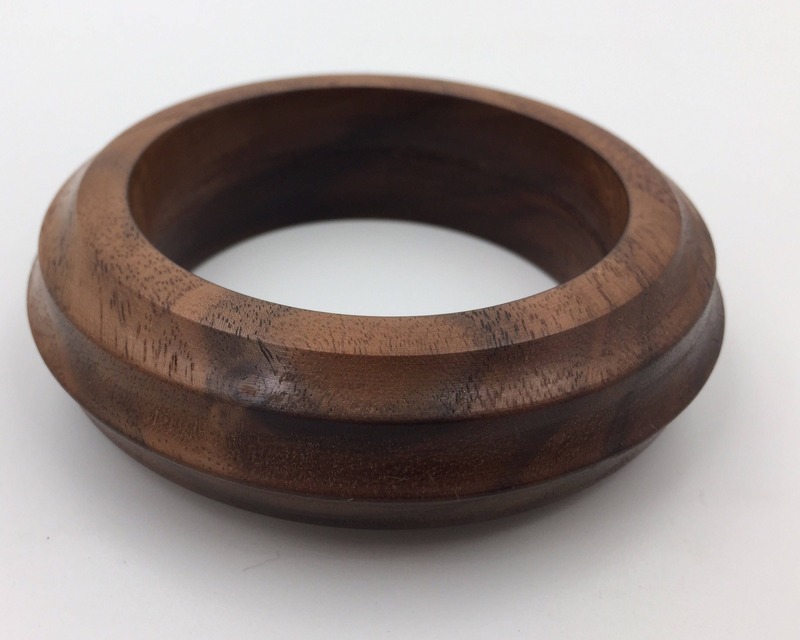 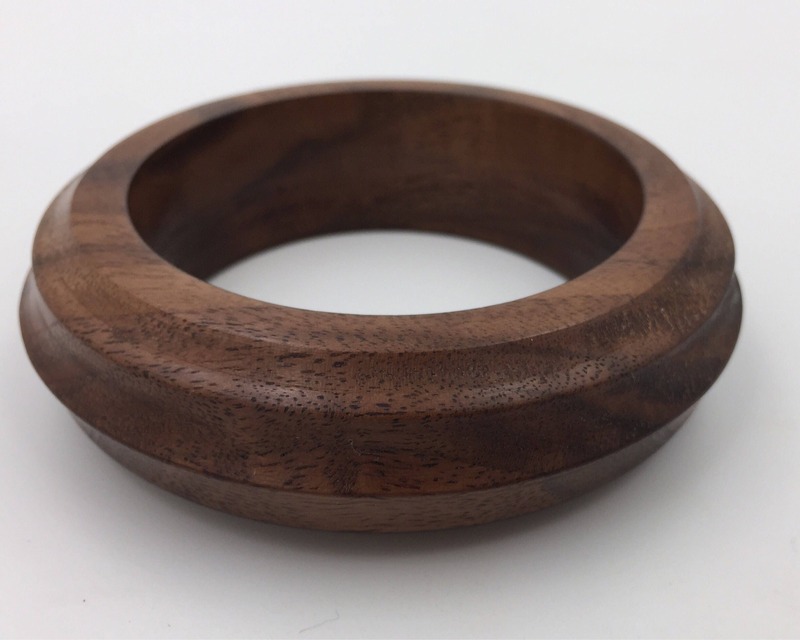 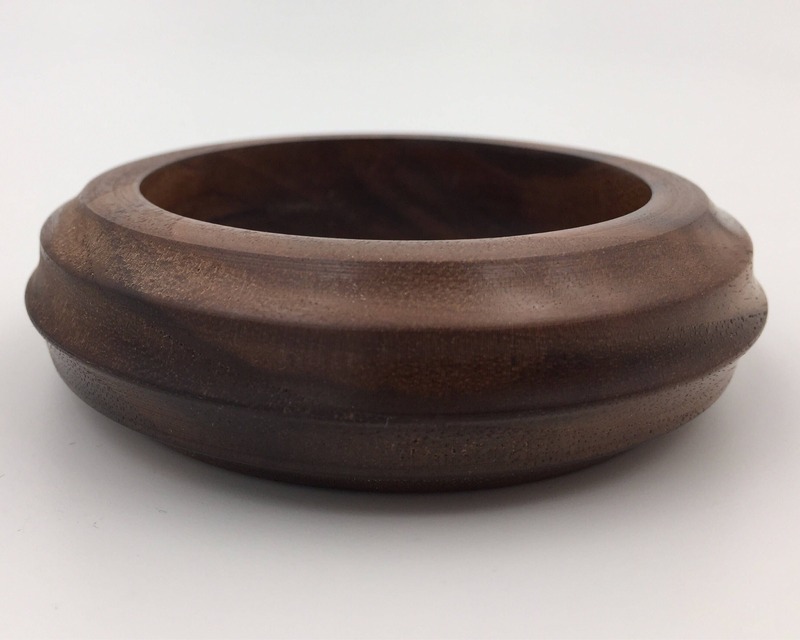 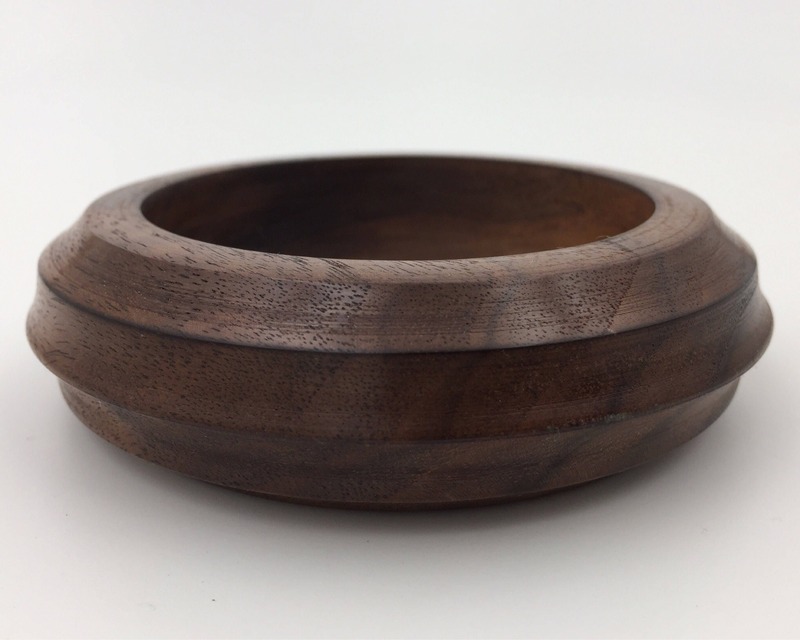 This handmade bangle is turned from gorgeous Claro Walnut wood. 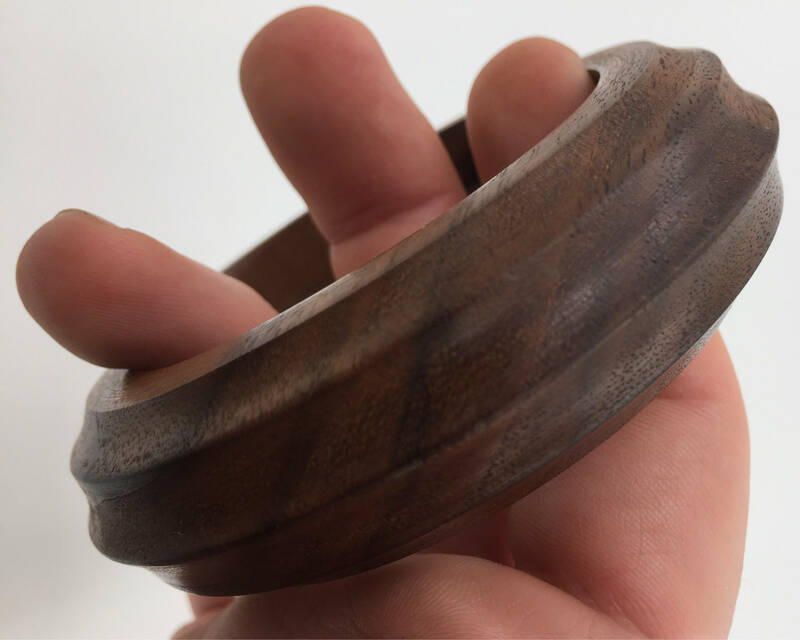 With brilliant brown, and black coloring, the photos truly do not do it justice. 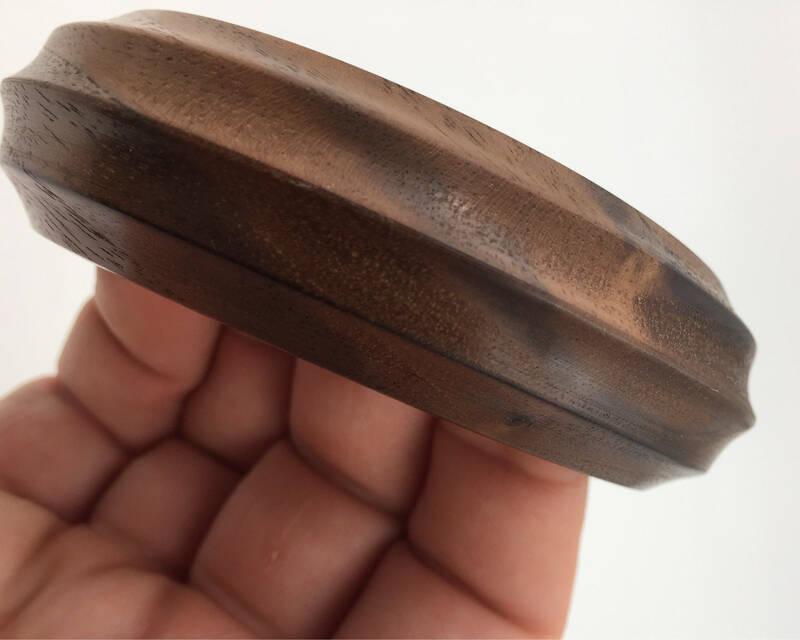 2 1/2" interior diameter, 3 3/8" exterior, and 1" wide.